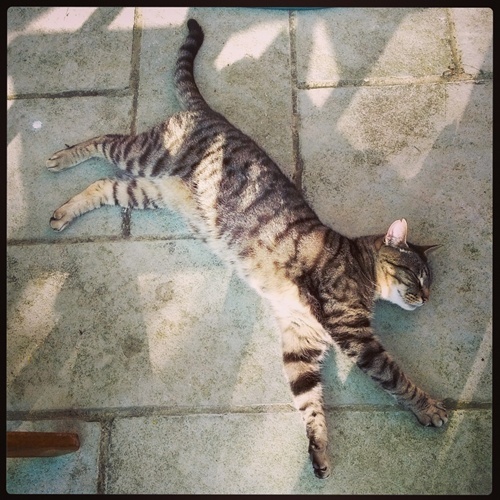 I don’t want to jinx things so I’ll whisper it very quietly…summer is here! When the weather’s like this, I don’t think there’s anything nicer than hanging out in your own garden, with the sun beating down and the paddling pool out. Thankfully Little I agrees – she’s definitely a garden girl too. 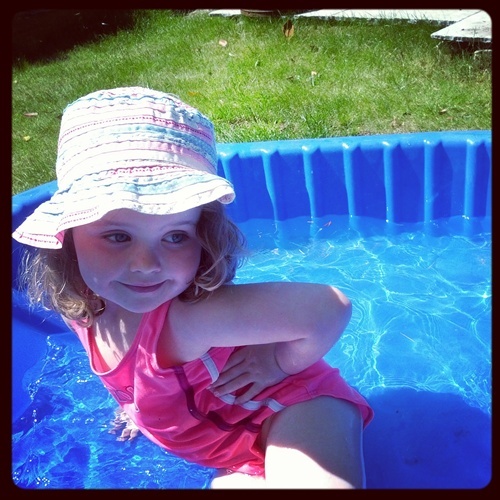 At 32 weeks pregnant, walking in such heat is a bit of a struggle for me and so I’d far rather sit in our lovely garden with my toes dipped in the paddling pool, while Little I splashes about. Even the cats seem to have the same idea! It’s amazing how easy it is to entertain a four-year-old when the sun is out. We’ve almost slipped into a little bit of a holiday routine on our days together. 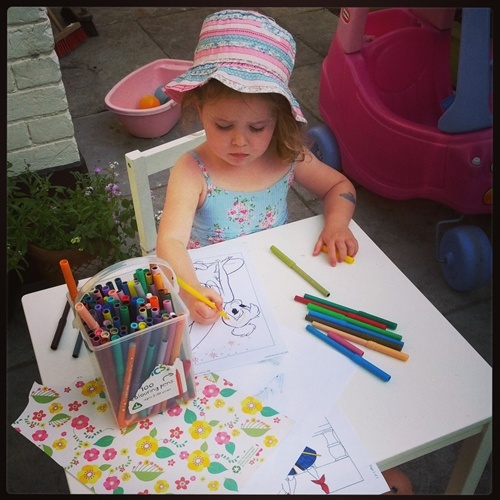 After breakfast we sit in the morning sun and do lots of colouring in and painting – Little I is midway through illustrating the entire story of Peter Pan which is keeping her very busy. This will be interrupted at some point to wake up her four babies and bath them in the garden, and give them their breakfast. I think her nesting instinct is kicking in too! We usually get the paddling pool out after lunch, when we’re ready for a cool-down. This will keep Little I occupied for the entire afternoon usually. Three hours is her current record for staying in the pool. The role play possibilities seem to be endless. She is currently a bit obsessed with acting out her own YouTube tutorials after becoming addicted to watching them. She will perform ones on how to be a mermaid, how to teach a baby to swim, how to dance in water…the list goes on! For refreshing snacks, we’ve been munching on frozen grapes. If you haven’t tried them, you must. They satisfy any afternoon sugar cravings and really help to cool you down. We might also have a nibble of our home-grown strawberries which seem to be in never-ending supply this year. Once the day cools a bit, usually after an al fresco supper (I love eating outside! 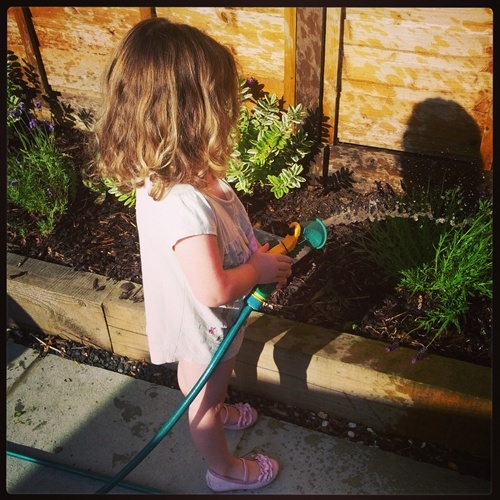 ), we get onto watering the garden. It’s lovely seeing the seeds that we planted earlier in the year in full bloom. 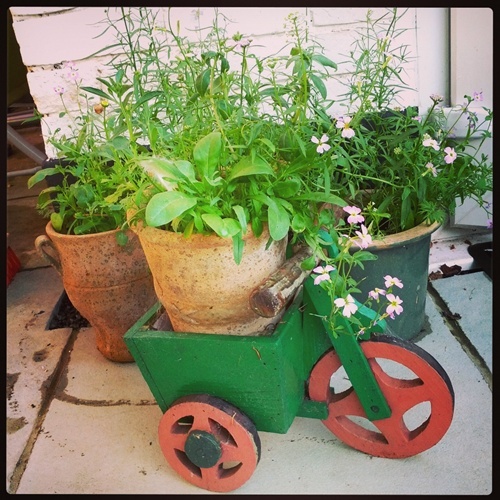 This year we used Miracle-Gro Flower Magic, which was so incredibly easy and mess free. It’s an all-in-one flower seed mix which also contains plant food and compost, which you simply shake into pots or onto flower beds. It’s so easy that Little I did it pretty much unaided, and she’s loved keeping her pots watered and watching to see what will sprout. It’s created such a pretty array of colour. I really wanted to make sure that I enjoyed quality time with my daughter in the weeks leading up to her sibling’s arrival. In the past week or so, while the sun has been out, we have genuinely achieved that. What a difference a bit of sunshine makes. It just goes to show that when the weather is good, we really don’t need to spend a penny in order to have fun together. Disclaimer: For review purposes I was very kindly sent the Miracle-Gro Flower Magic, but all words and opinions are of course my own.